Kathmandu to Pokhara flights offers magnificent mountain views of Langtang and Annapurna Himalayan range. For this you will have to book the seat on right hand side in flight from Kathmandu to Pokhara and on left hand side in flight from Pokhara to Kathmandu. 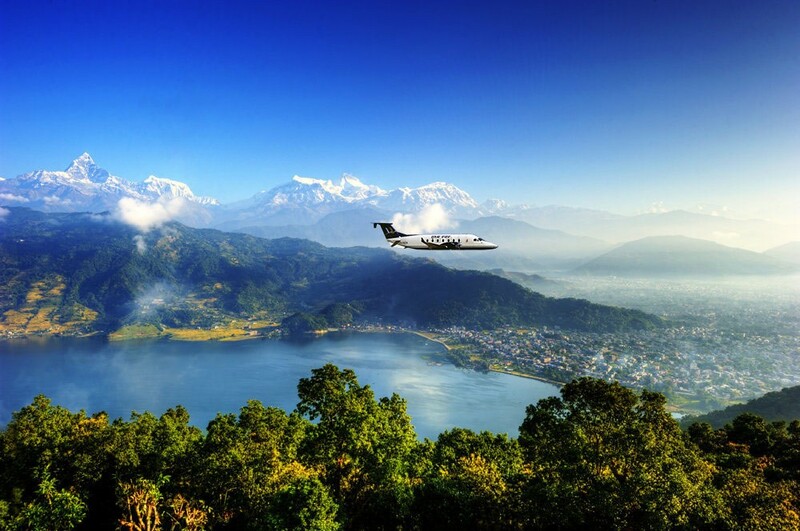 This 25 minutes flights from Kathmandu to Pokhara connects you to two most popular tourist hub in Nepal. Pokhara a beautiful city of turquoise lake is a gateway to Annapurna region with most of the popular trekking destination like Annapurna base camp trek, Annapurna circuit trek and mustang trek starting here. Despite of flow of tourists from inside and outside the country, this city seems tranquil and busy serving its guest. The summit of Macchapuchare at 6,977 meter soaring above in the backdrop of serene Phewa Lake is so appealing that anyone who visits there get can’t resist capturing this portrait through their lens. Starting early in the morning everyday around 10 to 12 flights are available for Pokhara to Kathmandu. Many Airlines operates their service for Pokhara to Kathmandu flight and vice versa, of which Buddha Air, Yeti Air and Simrik Air are considered as reliable and have regular flights. You can book the Kathmandu to Pokhara flight ticket booking through our online booking system. All you need to do is select the flight in which you want to go from options below and press the book icon on adjacent to it. Fill the form and submit it or you can even e-mail us to our E-mail Id. Once the booking is confirmed we will immediately send you the e-ticket of flight. Plan Nepal offer you best airfare deal on kathmandu Pokhara flight ticket and handle complications in case of cancellation of flight by reschedule of flight time and date on passenger request or refund the airfare amount. Note: Only 20 kg of baggage per person is allowed in flight from Pokhara to Kathmandu or vice versa. However, passenger can take more than 20 kg of baggage by paying around US$1 per 1 kg of extra baggage.